Our Sports Therapy service will help you deal with your sports injury. 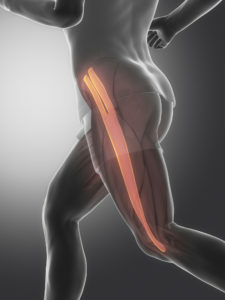 Whether you are a runner dealing with ITB syndrome, triathlete with a shoulder problem or other similar sports injury. Sports therapy is an aspect of healthcare that is specifically concerned with the prevention of sports injury and the rehabilitation of the patient back to optimum levels of functional, occupational and sports specific fitness, regardless of age and ability. It utilises the principles of sport and exercise sciences incorporating physiological and pathological processes to prepare the participant for training, competition and where applicable, work. assess, treat and, where appropriate, refer on for specialist advice and intervention. However, Sports Therapists will possess massage skills that are an integral part of their scope of practice. Consequently, Sports Therapists will apply many skills and modalities that are included within this list but in a sport and exercise perspective rather than a traditional healthcare context. Allied to their Sport and Exercise science knowledge, therapeutic abilities and understanding of sport, Sports Therapists are capable and proficient in applying the necessary rehabilitation principles, to enable their patients to achieve the optimum levels of recovery, that their injury or disability will allow.